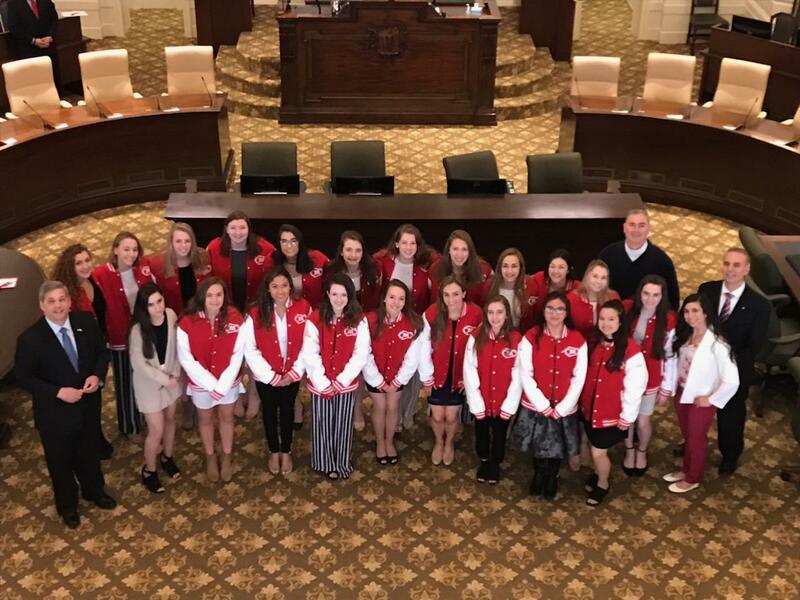 Today at the State House I was delighted to introduce the Masconomet Regional High School Gymnastics team to the Senate during our session. The team succeeded in becoming the 2018-2019 State Champions. Representative Brad Hill and Representative Lenny Mirra joined us in the Senate Chamber after giving the team a tour of the House Chamber. Accompanied by Head Coach Alicia Gomes and Team Manager Mariah Wheeler, Team Captains Nicole Bonacorso, Catherine DiNanno, Dannielle Tremblay, AND Team members Katelyn Aylwin, Sarah Aylwin, Lena Boldi, Alexa Budrow, Maria Buhaescu, Payton Coleman, Katerina Cote, Kyra Flak, Keira Fowler, Amber Gamache, Makayla Greene, Joanna Londi, Charlotte Losee, Gracy Mowers, Julianna Pascuccio, Emma Quirk, Lanah Rosenwald, Jessica Serafino, Samantha Tremblay, Gabrielle Wayland, and Paige Zimmerman. The Masconomet Gymnastics team went undefeated in the regular season. Katelyn Aylwin, who qualified to the national competition, will represent Massachusetts next month in Florida.